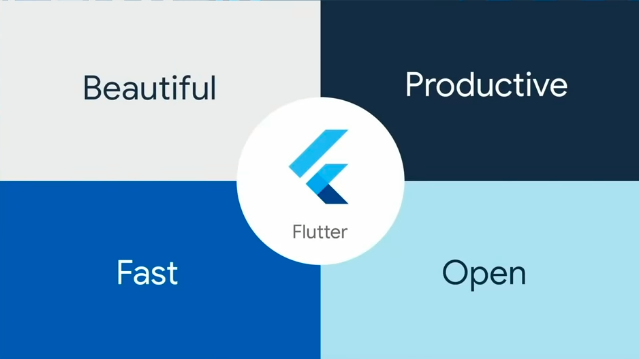 On the December 4th 2018 Google has presented us their new open source SDK called Flutter. The SDK was made in purpose to help create native mobile apps for both iOS and Android. Flutter Live was a live event celebrating the first stable release (1.0). The event was held in Science Museum in London and streamed online around the globe. Flutter 1.0 just like the previous versions enable us to create multiplatform (iOS, Android) apps with the use of the shared codebase. The important and distinctive thing about the SDK is that it let us use the native UI style for both platforms. Before that developers were forced to compromise on using native patterns and be more efficient codewise, or use the native patterns and spend more time per platform. Flutter helps in fixing that problem by supporting both approaches. Thanks to that we can use Material Design widgets for both platforms and Cupertino library for native iOS. Beautiful – Flutter allows us to create pixel-perfect apps in which we can control every pixel on our screens. Fast – The code is not interpreted but it actually compiles to native 32/64-bit ARM code. The graphics are based on the super fast Skia 2D graphics engine that supports glitch-free and jank-free rendering. Productive – the Flutter system allows us to see the changes that we made instantly without rebuilding the whole application. Thanks to that we spend less time waiting. Open – The SDK is open source with a BSD-style license. The development with Flutter is made easier by the fact that we can use already popular and well known IDEs like: Visual Studio Code, Android Studio, IntelliJ products. The primary language for development is Dart 2, an language created by Google. Beside Dart we can include parts of code written in Java, Kotlin, Swift or Objective-C.
At this moment, Flutter already has more than 3k applications in Play Store, more than 200m users using those apps, and there is more than 250k developers using Flutter for their applications. The Flutter repo is now 34th on the Github popularity list. More and more companies are using the Flutter SDK. At the FlutterLive event we were able to see a list of many famous corporations that are using the SDK for their mobile development such as: Abbey Road Studios, Alibaba, Google Ads, AppTree, Reflectly and Tencent. Flutter is still in its early stage but this can change with the release of the stable version and gain bigger popularity. With low workload we are able to create visually attractive apps without going for compromises as on previous multiplatform solutions. The SDK is an open source library and thanks to that we are able to see whats under the hood so the technology is totally transparent. 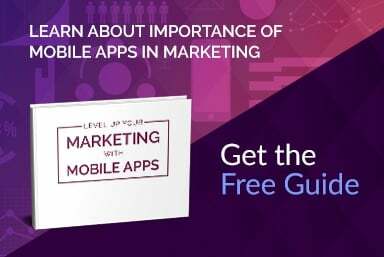 To sum up everything points that currently this is the best time to learn and create mobile apps in Flutter. Additionally Google announced that they are working on Flutter for web called Hummingbird. We can download Flutter 1.0 from official webpage https://flutter.io. The documentation and code samples can be found on: https://flutter.io/docs and https://flutter.io/docs/codelabs.